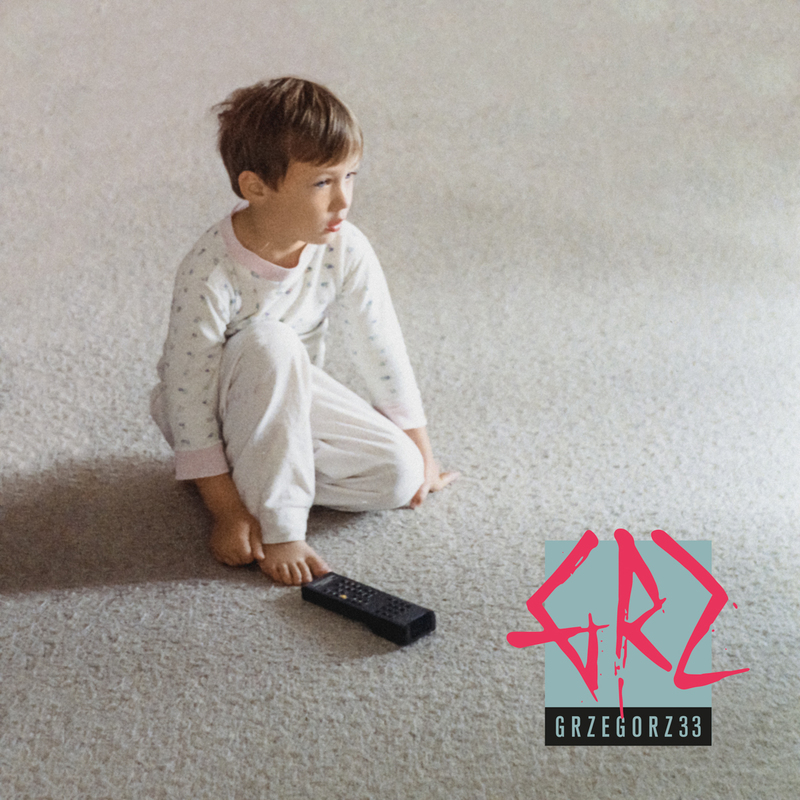 Find yourself a quiet spot and soak in the bleak and beautiful world of Grzegorz, with an album that draws from the best and the darkest parts of music to create some intense food for thought. It’s good to hear a record which hits you from so many different angles that it’s nigh-on impossible to work out what happens next. Such is the experience with 33 by Grzegorz. It’s an exercise in genre-splicing which is done so slick, that it makes the seemingly impossible work. So, what does it actually sound like? One of my favorite comparisons is this: Try to imagine Norwegian experimenters Ulver in their early 90s black metal incarnation. Now imagine snippets of that dropped in the midst of their recent 80s-esque electro-pop material, so that the two chapters of their career are side by side. It’s upon this that you get the base template of 33‘s overall sound. But building on it are plenty of other musical nuances. Industrial runs thick and heavy, be it from the Depeche Mode school of thought or the significantly darker Frontline Assembly opposite. There is also no shortage of progressiveness, and there is even the odd glimmer of djent. But in spite of the genre-hopping progressions of 33, there is one highly brooding apocalyptic theme running throughout. Social discontent, technological zombification, submissive media absorption, and a wholesome dose of nuclear fallout are the topics on display. I might also add that they are topics very synonymous with the underground industrial movement of the late 80s, so there’s an extra nod from Grzegorz to that catergory. Single tracks such as “Nuclear Option” and “I’ve Lost My Friends to Cocaine” sound every bit as foreboding as their titles imply, but for every moment of darkness there is also clarity and beauty. Let’s also give some attention to some of the other gems across the album, such as “33”, “Full of You”, and “War Is For Everyone”. Composer Grzegorz Olszowka has united the consistently melancholy and menacing elements of electronic, synthpop, and black metal to create music which traverses. But in doing so, it stays fluidly true to itself. Every song manages to strike the balance in one measure or another. And equal to the quality of musicianship is Olzsowka’s voice, also reminiscent of Ulver‘s Kristoffer Rygg. Olzsowka sings with great depth and conviction, and his tone and pitch are perfect in marriage to the music. This and the highly intelligent lyrics are the defining element of the album. Don’t think I’m overlooking those fleeting black metal snarls as well. Man, are they intense! Even given everything else on the record, the most creatively daring moment comes in the form “Kids In America”, a cover of Kim Wilde‘s 1981 pop song of the same name. The iconic song gets an industrial makeover with a side helping of black metal, which is an interesting rework. Needless to say, it will also be a polarizing moment. The original song is such a distinctive classic, that it will be hard for many listeners to dissociate it from the original. But it is very well crafted and the subject matter is an exact match for 33‘s themes. So credit to Grzegorz for putting the correct amount of work into it. In any case, it’s pleasing to state that this album in no way leans on the merits of any singular track. It is truly the sum of its parts, proving multiple times that Olszowka is an excellent songwriter in whatever field he ventures. The album serves as a bold and candid burst of emotion and proves that, given the right attention to detail, it’s okay to stick all ideas to the wall. Lyrical content added, and we get a fully immersive experience, and not one to absorb half asleep. Here’s hoping that we’ll hear more from Grzegorz in the future. Next PostOutre Unleash Their Dark and Gritty "Hollow Earth"